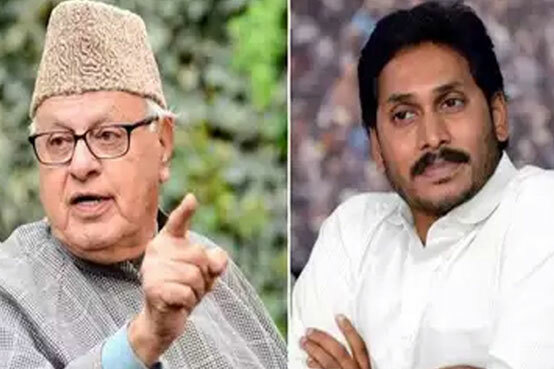 The YSR Congress Wednesday said it would file a defamation case against National Conference leader Farooq Abdullah for alleging that Y S Jagan Mohan Reddy offered Rs 1,500 crore to the Congress if it made him Chief Minister of the then united Andhra Pradesh. Abdullah levelled this allegation while addressing an election campaign meeting in support of the ruling Telugu Desam Party at Kadapa on Tuesday. The National Conference leader alleged Jagan Mohan Reddy made the offer soon after the death of his father (former Chief Minister Y S Rajasekhara Reddy). “Jagan once came to my house when AP was united. I want to remind him that he told me he was ready to give Rs 1,500 crore if Congress made him the Chief Minister,” Abdullah had claimed. Reacting to this, YSRC general secretary Sajjala Ramakrishna Reddy alleged that Abdullah levelled the charge as per the direction of Chief Minister Chandrababu Naidu. “What is Abdullahs connection with AP? He doesnt even belong to our neighbouring state. What does he know about AP issues.. Naidu brought Abdullah to Kadapa in a bid to garner Muslim votes. We are sending him a defamation notice for making baseless allegations against our leader Jagan,” the YSRC general secretary said. “That leader utters those words and flies off,” the YSR Congress chief said, without taking names.